OMG, you guys, sorry about the extreme alliteration there but I’m so excited it’s Friday AND we’re moving into a new season! I love Summer, but I’m over my flip flops and dresses and ready to change it up, baby, and get into some jeans and sweatshirts (embroidered, ruffled, or rhinestoned obviously). I’ve put together five things below that I’ve run into this past week and I’m pretty darn psyched about and may or may not currently have in my shopping carts around the Web. ???? 1. 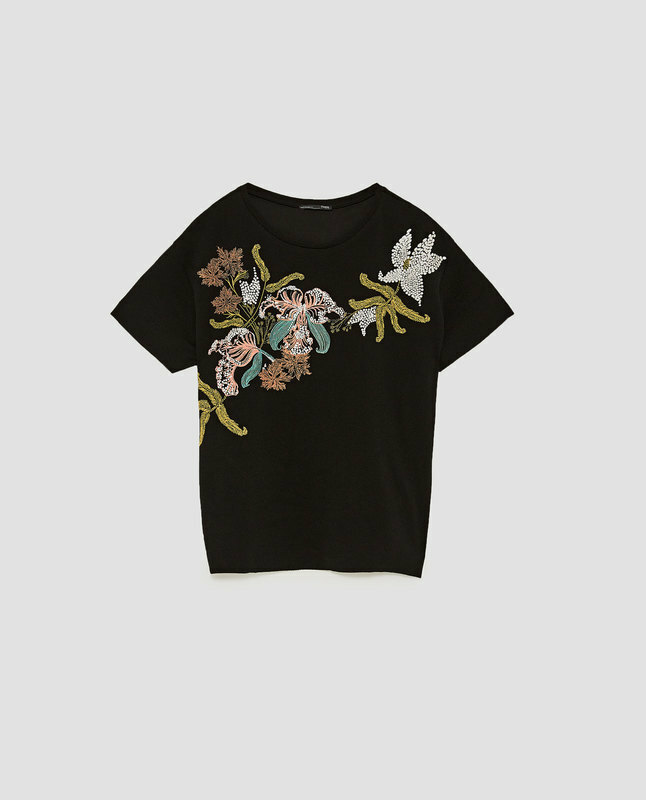 I am all over any kind of embellishment and this shirt from Zara is so pretty! Yes, it’s a lot, but throw it on with a pair of jeans and booties and you don’t need to worry about anything other than your smile. Plus, at less than $20, it’s a steal! 2. 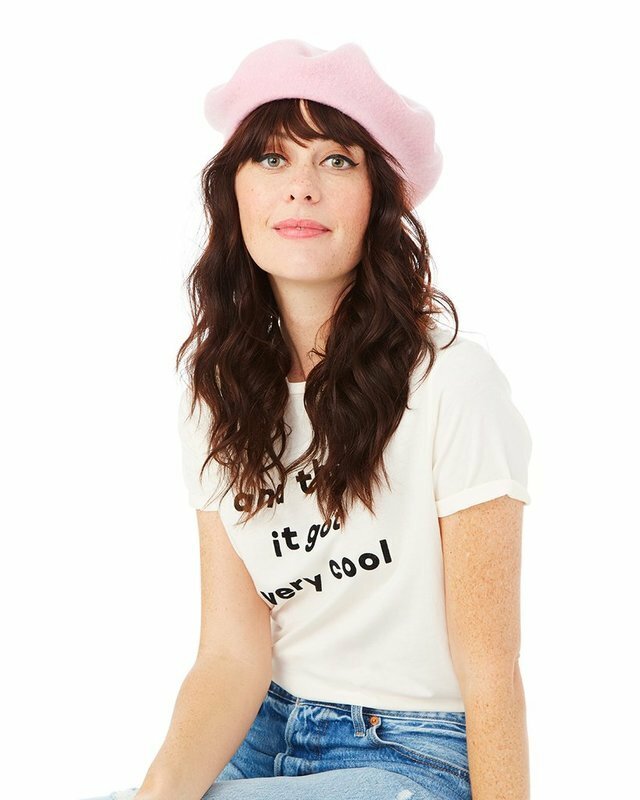 Berets are EVERYWHERE this season and, duh, I’m all over them, especially since you’re pretty much required to speak in a French accent while wearing one. I can only imagine how excited my husband is about this trend. ???? 3. Are you guys into this whole 70s vibe that’s going on? 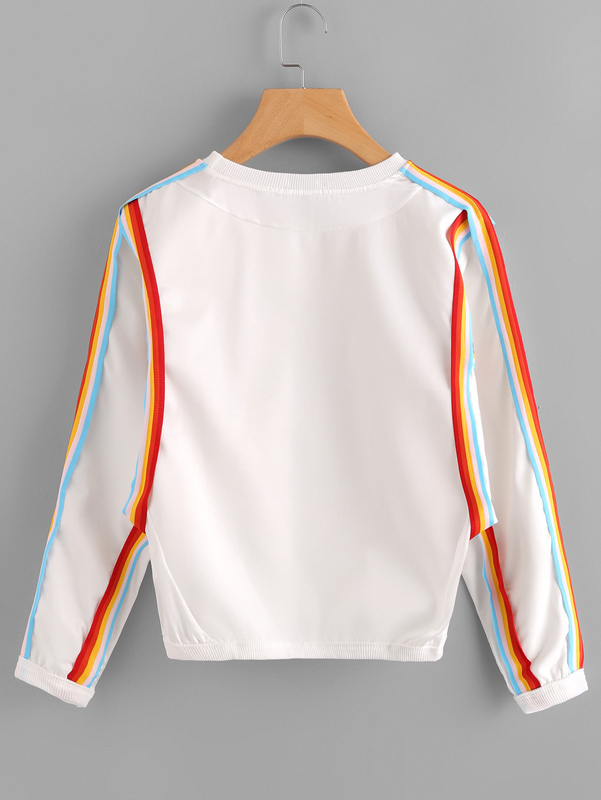 I think the groovy colors are pretty cool beans and this far out sweatshirt would be so easy to wear while taking the cats to school drop off. Can you dig it? 4. 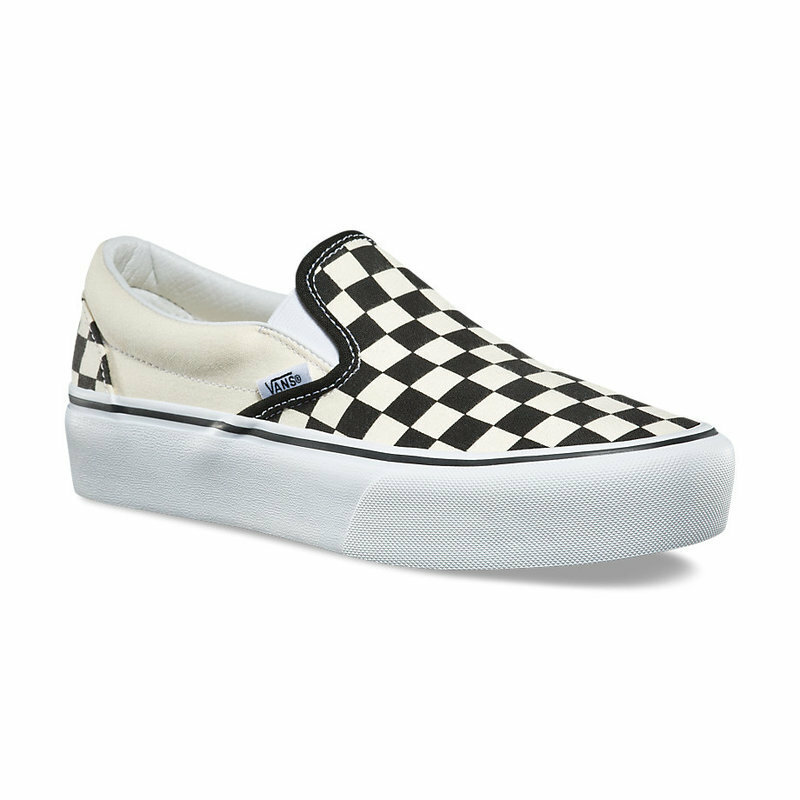 When we were in LA last month, every cool kid we saw was wearing a pair of these Old Skool Vans, which wouldn’t necessarily make me want a pair, but the fact I can also wear them with jumpsuits, skirts, jeans, basically everything in my wardrobe, means I’m all over them now. 5. 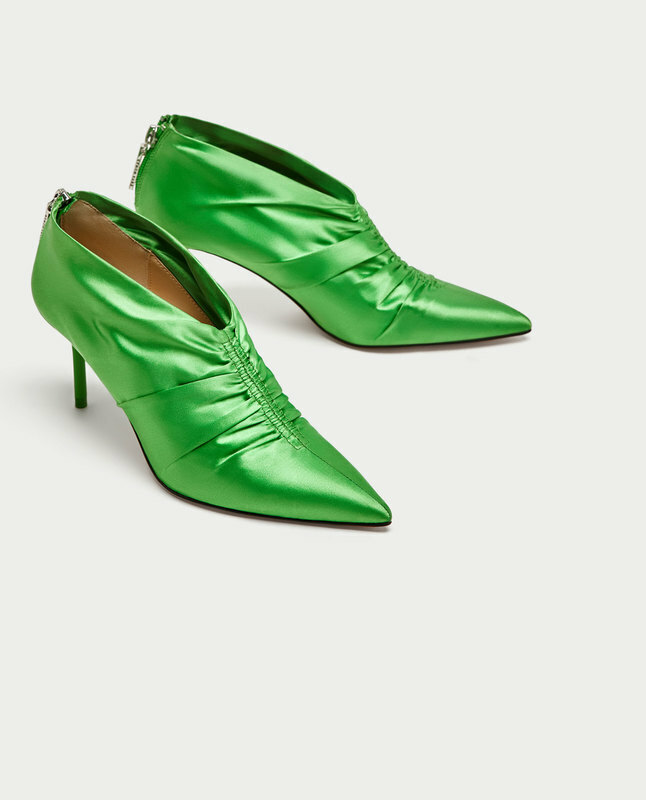 While we’re on the subject of appropriate footwear, I realize I would probably wear these green babies maybe once a year, but can you imagine how AMAZING that once a year event would feel? OMG, I feel like I’m Cinderella at the ball just thinking about it. What do you guys think? Are you ready for Fall or clinging to Summer?